Who would thought that these JEANS bought back in 2008 will see their days of GLORY once again. ( actually to be very honest these were a gift because this brand is supper expensive and I don’t think i would ever let myself go that far for jeans…). 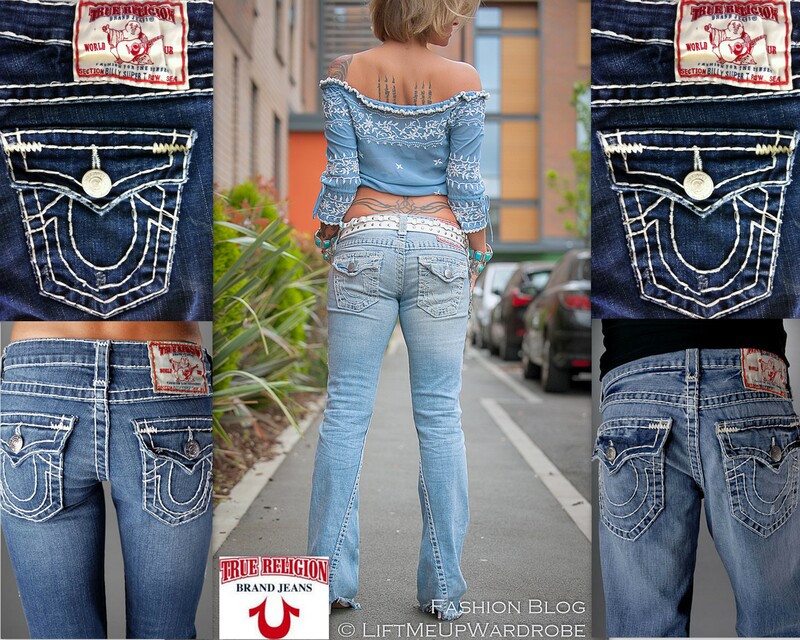 The FLARE cut, low hip shape and specially the MADE of these it’s ONE OF THE KIND – the brand is called ; TRUE Religion and the most recognizable features are the very thick stitches and and U shape LOGO on the back pockets. True Religion Brand Jeans is an American clothing company. Based in Vernon, California, the company was established in December 2002 by Jeff Lubell. True Religion Brand Jeans sell what they refer to as ‘premium denim’ which is handmade in America. Mine are super old but still in my closet still NOT for sale still ROCKING my world when I am wearing them! Some stuff are just NOT for sale ! x HAPPY FRIDAY!! so…yet again here here to all what’s AMERICAN! Posted in Street Style and tagged Cali, California, handmade jeans, Jeff Lubell, true religion, True Religion brand jeans, Vernon. Bookmark the permalink.